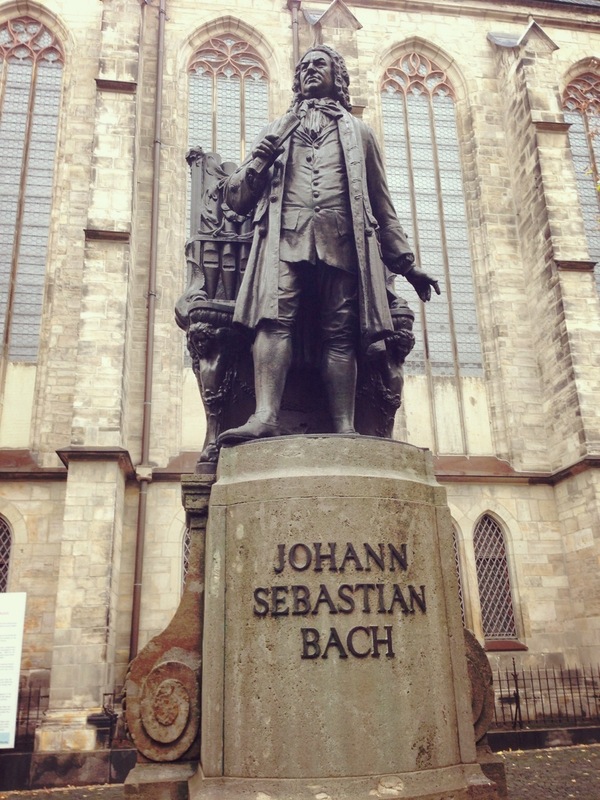 I was most fortunate this week to receive a private tour of Johann Sebastian Bach’s tomb, located deep in the bowels of the Thomas-Kirche (that’s the Thomas Church for those who don’t speak Scottish) in Leipzig, Eastern Germany. Bach has always captivated me, not principally for his huge catalog of over 1,000 linear, mathematical, and sometimes perfunctory-sounding compositions, but nae; for his incontestable longevity. Should Amazon or Apple even think to dream of such a popularity run – we are currently at 300 plus years and counting, and people still walk around whistling parts of the Brandenburg Concertos. For the past 20 or so years, tombs have increasingly annexed a strangely available part of my attention. Ever since I tackled the inquiry, “who is buried in Grant’s Tomb?” as part of an extensive diligence process to assess my adequacy for U.S. citizenship, I have paid slightly more notice to tomb grandeur and legitimate occupancy. Other than a slew of asian kings and queens, including the Ming dynasty, Qin Shi Huang’s terracotta warriors and numerous Rama temples, perhaps the grandest tomb I have visited in the past several years is that of Napoleon. However, even with the magnificence of the Dome des Invalides, I suppose the Taj Mahal, hosting the grave of Mumtaz Mahal, gets a few more points, not so much for the catacomb itself but for the broader dedicated architectural triumph, as well as the arduous journey there and for braving the dodgy food and the beggars outside. But I do not have presently a rigorous scheme in mind for tomb rating, akin to the movie industry’s rotten tomatoes, thumb counts and so on. In observing Bach’s tomb I was struck by some similarities to Lenin’s mausoleum in Red Square. I’m not referring to the Tussaudian bearded bloke lying motionless on top of the coffin as the proletariat cautiously shuffles by, as his identity is unknown. Indeed he is likely just a deceased soviet squatter. Moreover, the Russians don’t know who he is, but he strikingly resembles Lenin’s surviving effigies. At least in the United States if we have a few identity doubts we will inscribe it right there on the grave. We used to have the Tomb of the Unknown Soldier in Washington DC, guarded by an elite military unit, 24/7 in all weather conditions. But then after some grumbles that the grave may have other service members and so on the word “soldier” was removed leaving it simply as the revered Tomb of the Unknowns. Back to Bach, I’m not wholly convinced he was in the box I was viewing in Leipzig either. If you read the stories in recent years, as we all do, I’m not even sure they disinterred the correct grave for Bach’s tribute. I think the exhumers presumed the casket was Bach’s because it (1) was made of oak, and (2) had a nice high-end belt buckle that could, kinda, maybe have belonged to the composer. I give Napoleon and Mahal a high score for legitimate tomb occupancy, mid ratings for Bach, and low confidence for Lenin.